Pohs2oom virus removal from Mac is an important security measure because it dominates the infected browser and constantly redirects web traffic to rogue pages. Not noticing the misdemeanor of Pohs2oom virus on Mac is like ignoring the elephant in the room. This wrongdoing application turns a victim’s Internet surfing experience into a frenzy of redirects and popups. It’s not some kind of a weird quirk, though. The app under scrutiny acts that way because its authors look to get profit from monetizing the impudently snapped-up traffic on the contaminated Mac computer. The most provoking symptom of this activity is that the Safari, Chrome or Firefox browser running on the user’s system starts forwarding random queries to a site whose URL starts with pohs2oom.com/click?i. Then goes what seems to be an infinite string of random characters, which is actually an identifier of a specific sub-campaign within the cybercriminal affiliate network. This occurrence is only the initial part of the rerouting quandary, though. The extension appended to pohs2oom.com domain name doesn’t point to a static web source. Instead, it is a component of a highly flexible online marketing system that switches the landing sites from instance to instance. In other words, the victims will be visiting different junk pages pretty much every time a new iteration of the rerouting takes place. The range of these associated websites spans various freeware download hubs, fake prize claim reminders, gambling or dating sites, whatnot. Whereas the types vary, the common denominator of all these Internet resources is the questionable legitimacy and trustworthiness of what they offer. What’s claimed to be a free app may end up being a Trojan, while a social search service pushed in this fashion may be nothing but a technique for criminals to wheedle out the victim’s sensitive information or even pull off a blackmail hoax. In some scenarios, the linked-to page will ask for the user’s permission to show notifications in the browser. If this privilege is granted, the influx of popup ads is inevitable. Considering that no sane person will ever allow the Pohs2oom virus to enter their Mac, the malicious operators of this adware wave are bound to employ a proliferation tactic that bypasses the admin consent stage. The classic method of bundling is how the misbehaving entity is spreading on a big scale. It works in the following way: when a user is up to installing a new app of some kind, they typically do a web search that may lead them to an iffy software repository promoting malware alongside legit programs. The game-changing thing in this case is whether or not the user selects the custom install option rather than the default one. In the latter situation, the Pohs2oom hijacker will sneak inside without any obvious giveaways. In the former, the user can see what is being additionally pushed in combo with the benign application and deselect the opportunistic pieces of software. For those who have been struck by the Pohs2oom.com virus and are suffering the consequences of its browser redirect shenanigans, the only approach to sort things out is to get rid of the distressing applet. Peruse the follow-up on this description to get an effective removal procedure. When confronted with malicious code like the pohs2oom.com redirect virus on Mac, you can neutralize its toxic impact by leveraging a specially crafted system utility. The Freshmac application (read review) is a perfect match for this purpose as it delivers essential security features along with must-have modules for Mac optimization. This tool cleans unneeded applications and persistent malware in one click. It also protects your privacy by eliminating tracking cookies, frees up disk space, and manages startup apps to decrease boot time. On top of that, it boasts 24/7 tech support. 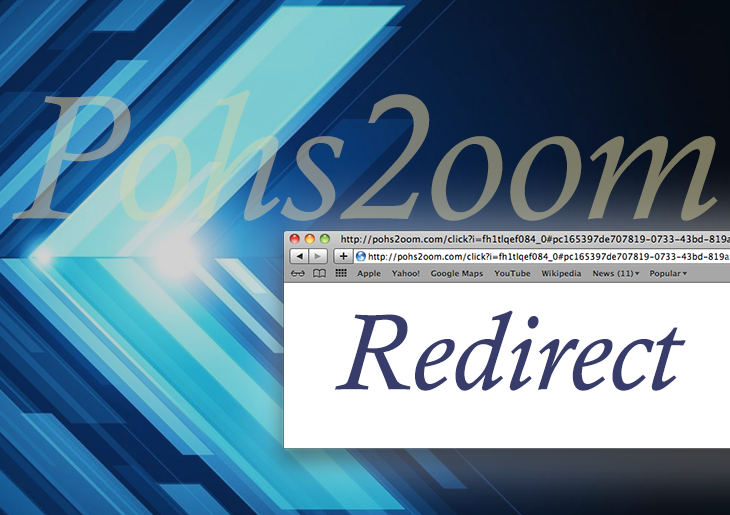 The following steps will walk you through automatic removal of the pohs2oom.com redirect infection from Mac. Check whether the Pohs2oom redirect problem has been fixed. If it perseveres, go to the Uninstaller option on Freshmac GUI. Locate an entry that appears suspicious, select it and click Fix Safely button to force-uninstall the unwanted application. Go to Temp and Startup Apps panes on the interface and have all redundant or suspicious items eliminated as well. The Pohs2oom redirect virus shouldn’t be causing any further trouble.